Selling a car for the wholesale price is often a quick way for the vehicle owner to find a buyer. 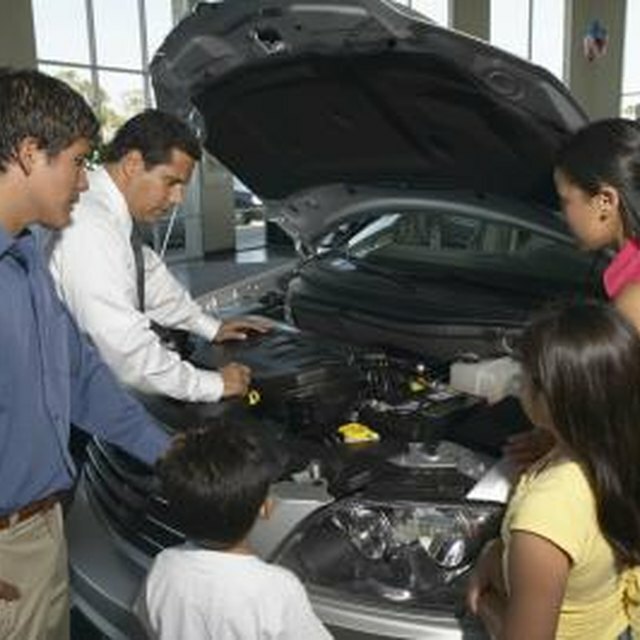 The seller must first determine the wholesale price of the car to know how much to ask for the vehicle. Once the seller sets the asking price, there are a number of ways to find a buyer for the car. Check online to find the wholesale price of your car by using a search engine to find a website that has used car valuations. Once you locate a website, look for your vehicle in the used car section. Type your car's mileage and any extras or options into the input fields so you get an accurate valuation report. Generate the report and find the "Trade-in" value. The "Trade-in" value is also the wholesale price that you can ask a buyer for when you try and sell your car. If you are going to buy another vehicle, one of the easiest ways to sell your current car for wholesale is by trading it in at a car dealership. Depending on the demand for the car that you are buying, a dealer may offer to purchase your old car for an amount that is higher than the "Trade-in" price on the valuation report. If the dealer offers less than the "Trade-in" price, show him the valuation report and use that to help you get the wholesale price for your car. Many used car lots are run by a private owner who will buy vehicles for wholesale and then sell them on the used car lot. Drive your car to a used car lot in your area and ask to speak with the owner. Let the owner test drive and inspect your car. Negotiate the sales price with the owner and do not sell your car for less than the wholesale value. Selling a vehicle at an auto auction is an option that may be an unknown for many car owners. If the car is in good condition, once the auction starts the bidders may drive up the price to an amount that is higher than the wholesale value. Contact an auto auction in your area to find out what you need to do to put your car on the auction block. Online and print advertisements are common methods that car owners use to sell a vehicle for wholesale. To list your car online, use a search engine to find a website that sells used cars. Contact a representative of the website and find out the cost for listing your car for sale. Place an ad if you want to try to sell your car online. List your car for sale in the classified section of your local newspaper as well if you want to advertise locally. Jeff Todd, a former futures trader and banking and finance professional, started his writing career in 1997, producing content for The Motley Fool. He has since written for several trading websites and online media companies. He attended Wesley College, and received banking certificates from Louisiana State University and the University of Oklahoma.